New research published by commercial vehicle website VansA2Z.com has highlighted the considerable number of fleet operators that could be running the risk of considerable fines and even jail as a result of poor maintenance programmes. According to the organisation's findings, 82 per cent of respondents to a poll at the recent [email protected] event were unaware of the fact that owner-operators face prosecution under corporate manslaughter legislation if a van operator can be found liable to causing death or serious injury to themselves or a third party as a result of vehicle defects. This means that should an accident take place on the nation's roads and the cause can be traced back to poor upkeep of the vehicle, the business will be held liable for their lacklustre standards. Furthermore, the company revealed this is a real issue that all businesses need to be aware of, especially given the fact that figures from the Driver and Vehicle Licensing Association show that 50 per cent of all UK vans fail their first MOT tests for roadworthiness. The majority of failures come as a result of defects in steering, lighting and braking – all areas where issues with maintenance can have a significant impact on driver risk. 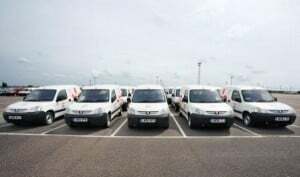 VansA2Z.com managing director Kevin Gregory said: "Illegal, badly maintained vans are a peril to other road users, and many owners are not only unaware of the faults on some of their fleet vehicles, but also of their personal liability if something does go horribly wrong." He added that understanding the liabilities and risks of fleet management should be a top priority for all operators, as failure to do so can not only have serious implications for themselves, but it also needlessly places countless lives in danger every year.